In This Is How We Survive: Revolutionary Mothering, War, and Exile in the 21st Century, Mai’a Williams shares her experiences working in conflict zones and with liberatory resistance communities as a journalist, human rights worker, and midwife in Palestine, Egypt, Chiapas, Berlin, and the U.S., while mothering her young daughter Aza. She first went to Palestine in 2003 during the Second Intifada to support Palestinians resisting the Israeli occupation. In 2006, she became pregnant in Bethlehem, West Bank. By the time her daughter was three years old, they had already celebrated with Zapatista women in southern Mexico and survived Israeli detention, and during the 2011 Arab Spring they were in the streets of Cairo protesting the Mubarak dictatorship. She watched the Egyptian revolution fall apart and escaped the violence, like many of her Arab comrades, by moving to Europe. Three years later, she and Aza were camping at Standing Rock in protest of the Dakota Access Pipeline and co-creating revolutionary mothering communities once again. This is a story about mothers who are doing the work of deep social transformation by creating the networks of care that sustain movements and revolutions. By centering mothers in our organizing work, we center those who have the skills and the experience of creating and sustaining life on this planet. 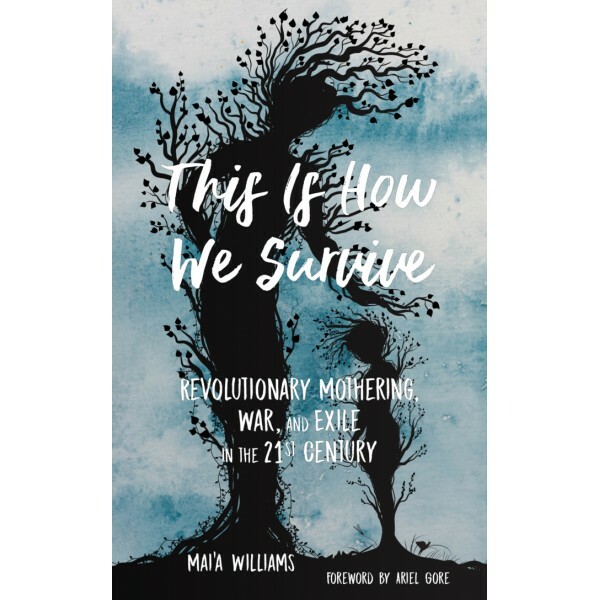 This Is How We Survive illuminates how mothering is a practice essential to the work of revolution. It explores the heartbreak of revolutionary movements falling apart and revolutionaries scattering across the globe into exile. And most importantly, how mamas create, no matter the conditions, the resilience to continue doing revolutionary work. Mai’a Williams is a writer, visual artist, and birth worker and has worked and lived in Mexico, Palestine, east Africa, Egypt, Germany, Ecuador, and the U.S. She coedited the anthology Revolutionary Mothering: Love on the Front Lines and is the author of two books of poetry, No God but Ghosts and Monsters and Other Silent Creatures. Ariel Gore is the founding editor of Hip Mama and the author of ten books of fiction and nonfiction including the critically acclaimed novel We Were Witches. She has won an American Alternative Press Award, the LAMBDA, the Rainbow Book Award, and an Arizona–New Mexico Book Award. Her writing has appeared in hundreds of publications including the Rumpus, Psychology Today, and the San Francisco Chronicle.